GEORGE TOWN (Dec 30): Over the past seven years, the DAP-led Penang government has had to endure criticism from various quarters over many of the changes introduced in the state. Among them are the proposed undersea tunnel and highway projects and more recently, the proposal to reclaim more than 1,200ha fortwo man-made islands off the southern coast of Penang island to finance the ambitious Penang Transport Master Plan (PTMP). Such projects are not without controversy. When the undersea tunnel linking George Town and Butterworth was proposed, it was criticised by non-governmental organisations (NGOs) and environmentalists worried about the project’s impact on the sea. The same concern has now been raised by NGOs and fishermen in the south, who fear the massive land reclamation will destroy fishing and breeding grounds for marine life, and cause pollution in the sea. 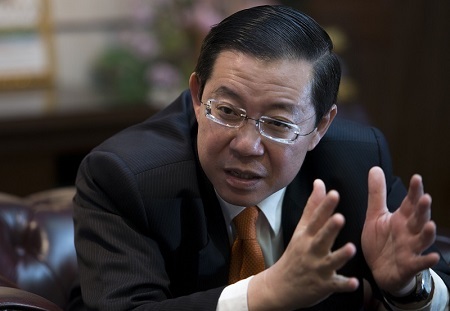 Chief minister Lim Guan Eng (pictured, below) said the Penang government had thought of other options but it has no power to borrow money or raise bonds to fund the master plan. “When we have something of this scale, RM27 billion, we have no choice,” he told The Malaysian Insider recently. The PTMP is a comprehensive plan to create an integrated transport system for Penang. It includes a rail network with light rail transit (LRT) and monorail lines, cable cars, buses, water taxis, and ferries, apart from highways. Meant to drive growth in Penang up to 2050, the master plan will cover the entire state, introducing monorail lines connecting the George Town city centre to Air Itam and Tanjung Tokong, trams in the city, an LRT from Komtar to the Penang International Airport inBayan Lepas, and another LRT line across the sea to Butterworth on the mainland. There will also be a rail line and bus services connecting the districts in Seberang Prai. In addition, there is a proposed cable car project to link the island and the mainland, to be implemented and completed by 2018 by transport hub Penang Sentral builder Malaysian Resources Corp Bhd. Lim said the cable cars, when ready, would ensure faster travel of 15 minutes across the sea, and offers a “romantic” spectacle, especially after dark when lit by LED lights. Enthusiastic about the big plans in the pipeline, he said locals on the mainland and a majority of the state population would be supportive of the master plan. “Are we going to get cold feet just because some people oppose it? It will be a question of how we trade-off, but we are willing to trade our popularity for the future. We are going for broke,” he said. It is not the first time the DAP-led state government has pushed forward a mega-project on its own without any financial backing from the federal government. In the run-up to the 2013 general election, the state proposed the ambitious undersea tunnel project and three highway projects which drew objections from NGOs. Faced with criticism, Lim told voters before the elections not to vote for his administration if they rejected the tunnel. The opposition coalition was returned for a second term with the highest popular vote recorded in the state at 68%, 10% more than in 2008. 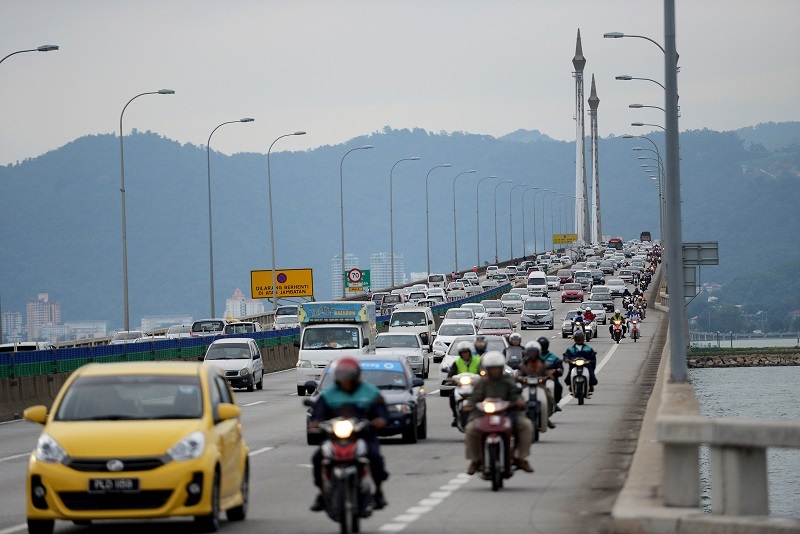 Penang, he said, was now choked with traffic because it was a popular tourism destination, which has caused overcrowding at the Penang International Airport. “We were expected to reach 6.5 million in passenger arrival by 2020 but we reached that number this year. The airport is like a pasar malam (night market), but there are no plans by the federal government to expand it at the moment. Of the two islands proposed to be reclaimed for the PTMP, one is planned for the future expansion of the Bayan Lepas free industrial zone and airport. The other is proposed for housing and the state administration centre. Lim said any reclamation must pass the detailed environment impact assessment (DEIA). He also said the state was open to suggestions of alternatives. Asked if such land reclamation and land swap deals were more favourable to developers than the people, hence the remark that the Penang Pakatan Harapan government was a “pro-developer” administration, Lim said things were done differently now. He said the state government’s formula of swapping reclaimed land was different from its predecessor’s because the state would still be calling the shots. Lim said the “pro-developer” accusation was “all slander” and “typical cheap politicking”. When Aspen Vision Land was mentioned as example of a developer seen to be close to the state, Lim said it finally brought in Swedish furniture giant IKEA to the state which Penang folk wanted for a long time. “Aspen bosses are also involved in the FAP (Football Association of Penang), and the state wants to develop Penang football. So we work closely with them. Football is also very important. Lim said the state government could make special arrangements if a developer could bring in something of quality like a university or big business like IKEA.